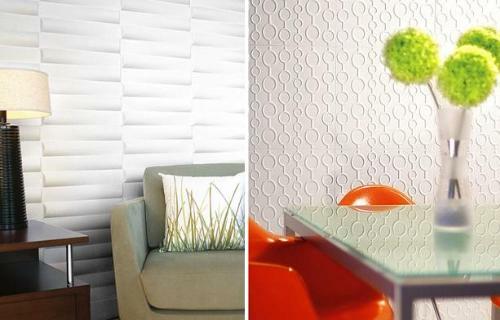 Interior walls show inner décor of the home whereas exterior walls are amazing for external embellishment of the home. 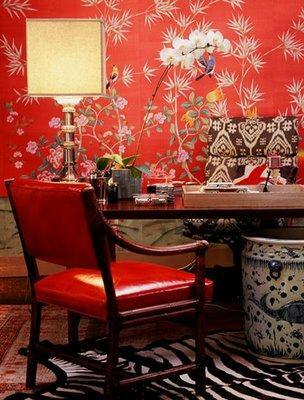 The effects of wall colors miraculously realize your character and your home as well. Interior wall painting adds to the charm of your home whereas exterior wall paint protects the home against rain and snow. It is the most creative decision to choose right color and finish for the walls. However the following are some choices of the paint for interior and exterior walls. 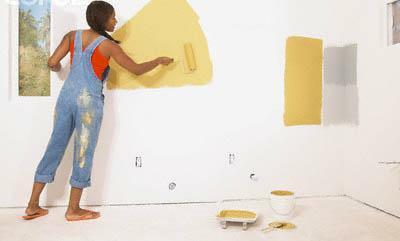 Latex/Water Based Paints: These paints do not fade away easily, less likely to crack or peel and have fewer odors. Moreover, latex paints are fast-drying and require only water for thinning and clean up. 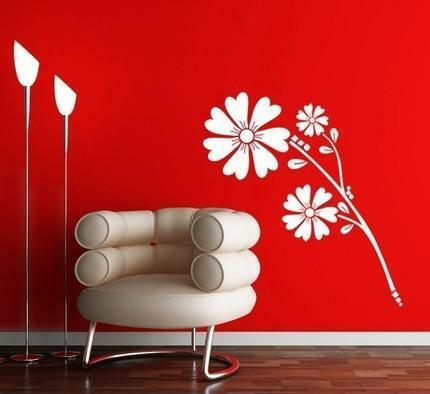 Oil-Based Paints: These paints are better choice for interior walls as they are extremely durable. Oil-based paints are slow-drying and require mineral spirits for thinning and clean up. The only drawback of these paints is that they have strong odor. Vinyl-Acrylic Latex Paints: They are the least expensive and suitable for most interior walls as they have durable color and better adhesion. Enamels: It is a type of oil based paint with better adhesion qualities. It is reasonably durable and stain resistant. It provides softness and cheerfulness to the surface. It has better gloss than vinyl-acrylics. Use a flat finishing for interior walls as it provides non reflective and rich finishing. Flat finishing is also great at hiding irregularities and surface imperfections. Apply high-gloss finishing which is also a good choice for its high shinning and easy cleaning. Apply insulation on the surface. While choosing color of the paint and finish, it’s hard to decide which paint will suitable for the exterior walls. When you choose paint for exterior surface/walls, you should decide ease of application, protection against weather and the most important is its quality. They should be attractive yet durable enough to withstand weathering. The paints for exterior surfaces (such as brick, cement, stucco, cinder block and asbestos-cement) include following types. Cement-Based Paints: It is water based paint and is applied on the peripheral surface of the house. It is highly water resistant and gives the finest outcome on newly concrete surface. Acrylic emulsion paint: It provides excellent protection against vagaries of nature withstanding fairly extreme of heat and cold and rain. Also it’s extremely resistant to fungus, algae and peeling and remains effective for 4-5 year. Exterior surfaces require special finishing with specific qualities which are following. Highly durable, weather resistant, masonry paint. Suitable for most exterior masonry surfaces. Smooth exterior wall paint with a tough, durable finish. Provides long lasting weather protection. 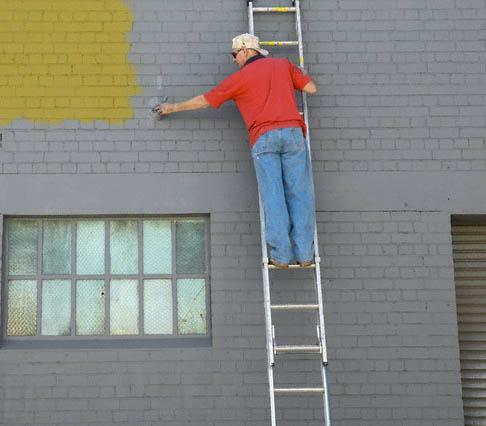 NOTE: Oil-based paints are not generally used on exterior because of the adverse effects of varing weather conditions.